♥ Having trouble deciding which of Wagamuffins handmade dog accessories would be best for your friend? ♥ Looking for a last minute gift option for that special pup? ♥ No worries, we've got ya covered! 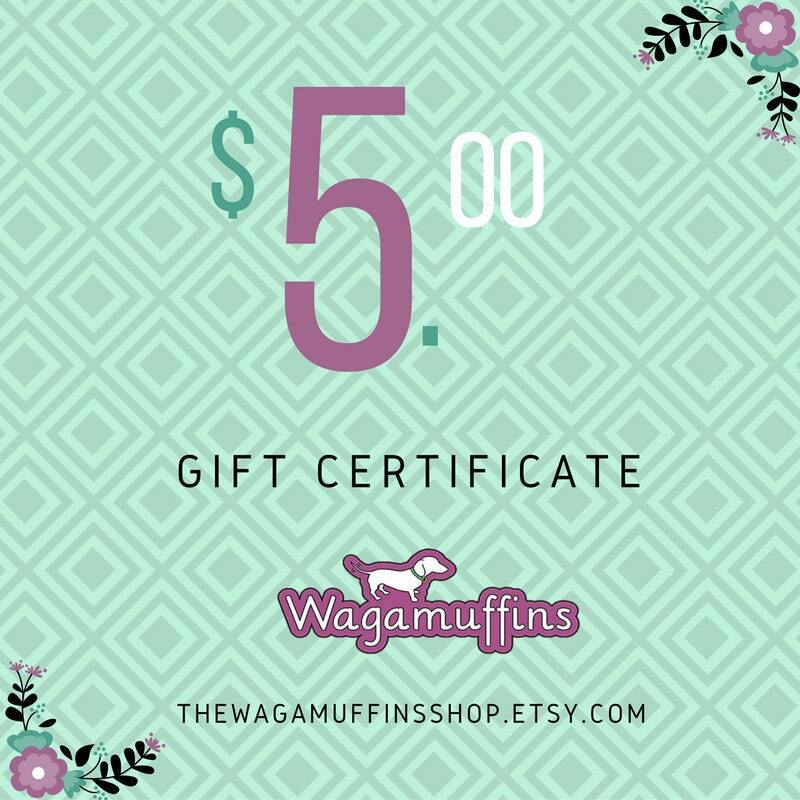 Wagamuffins offers gift certificates that you can download and immediately gift to your pal that includes the gift certificate code so they can shop our shop right away! NOTE: The code must be entered at checkout and will deduct the total of the gift certificate from the sum of the total in the shopping cart. Gift certificates must be used in full at the time of purchase and cannot be extended over multiple purchases.